Ok, so it looks like my next trip abroad won’t be for Vipassana, but it’ll still be in Spain. I won tickets on Xfm to the Benicassim Festival – OMG. I’ve wanted to go for a good couple of years but never got round to it. Now, I will. Squeal. So, I know it’s not exactly a ‘travel’ post, but I will be travelling to my destination by flight. And, I need help. What does one take festivalling? I have no idea whatsoever and I think I need more than just a bikini. It’s festival season now, with Glastonbury kicking off as we speak, and it seems that everywhere I look, people are buying tents, sun loungers and cool boxes. I must admit, while I entered the competition, I was in no way prepared to actually win the bloody thing and since I’m trying to save for my next trip, I really don’t want to spending heaps on things I don’t need. 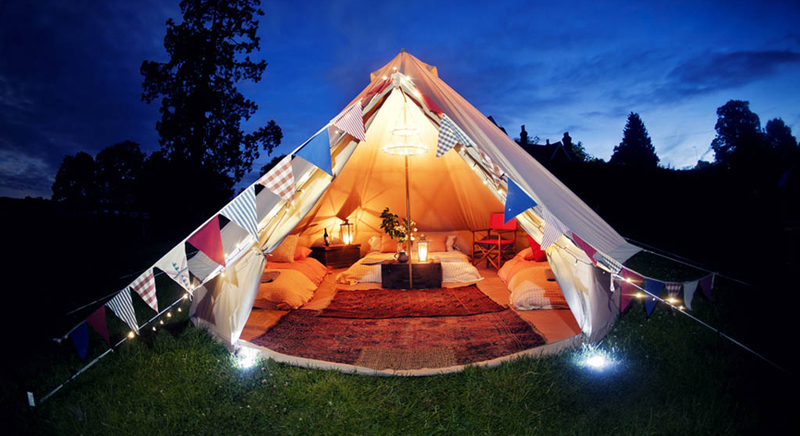 Glamping I most definitely will not be. Well, I’d like to but let’s face it, it’d cost way too much. But, then again, I don’t want to do this either. I really don’t wanna end up like that! Any ideas? Have any of you been to Beni before?